It is a elegant and top standard Chalis wine. The taste is smooth and clear with a notch of apples, aniseed, gooseberry and minerals. The scent gives away gooseberry, grass and lemon. 100% Chardonnay and is served with approximately 8 C and goes well with oysters, also fish and other seafood. It has a vibrant nose of green unripe fruit with a distinct grassiness characteristic of Sauvignon Blanc. Sour granny smith apple, lime/citrus, and a slightly grassy element, which has a gush of tart acidity and a crystal clean finish. Goes well with refreshing aperitif, prepared white meats, vegan dishes, seasoned salads. This wine is probably the best value white wine of the year. It is pure, fresh with a taste of fruit characters like apples, tropical fruits, pepper and citrus. This wine goes well with some fish soup, seafood or chicken. Grape: 100% Gruner Veltliner, the mother grape of Austria. A silver medal winner at international wine challange with exceptional awards from Wine Spectator and Wine Enthusiast. With mix of floral roses, passionfruit, lychee and cinamon on the nose. Stonefruit with gentle perfume character, were a more developed palate is taking place towards a richer and rounder wine in the end. Mmmm... lovely. Vintage Champagne that is one of the most proudest products from Duval Leroy. The quality is very elegant and with exceptional taste. Traditional Champenois pressing. The colour is green gold and gives away white-, dried fruits and butter aroma. The taste ends with a tight finish. Gentle and reserved nose, revealing in a tight fashion a little core of honey and toffee. Freshness and delicacy of fruit. We believe that there is potential for this to come together in bottle. SWE: 1999 cannot be found, only the Brut. 1060 SEK, No 87914. Grape: Pinot Noir 70% and Chardonnay 30%. In the new Bond movie but also a brilliant vintage champagne from 1999 with distinctive aromas of coconut and vanilla, with oxidation adding complexity, followed by fresh citrus, oatmeal and honey notes. A firm, powerful structure that needs time to integrate all the elements. Classy finish. Grape: Prosecco 90%. Probably the best Prosecco to be found in China. Character is much appriciated by wine critiques around the world and has won the best value wine (Wine Enthusiast). Good fruits with rich scents of wildflowers. Apples, pears with a harmony that is rounded by appropriate sapidity. Grape: Tokay Veronese, Garganega and Riesling. A Prosecco from Veneto, Italy that provides good quality with a nice packaging. On the nose it gives away pear with apples. The taste is pleasent and medium dry with fruits, peach and citrus. Goes very well with fish, seafood and apertif. Grape: Pinot Noir 100%. Central Otago is one of the top five new-world wine regions in the world. The wine is good on the fruits, crispy and fresh. Amazing rose wine. This wine has won numorous awards for its performance. The only dowsize is the pricing which is quite high for a rose. Grape: Corvina grapes 70%, Rondinella 20%, Croatina and other minor varieties 10% and to ensure greater complexity and structure to the final produce, a small percentage of Amarone is added. 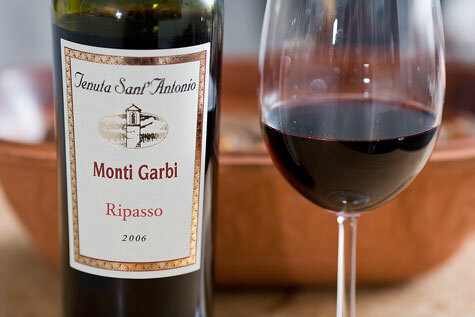 Serve cool between 15 and 18 C.
Valpolicella Superiore Monti Garbi combines perfectly with cold appetisers, entrees of pasta and meat sauce, white meat, poultry, roast or stewed rabbit main courses as well as hard-textured seasoned cheeses. 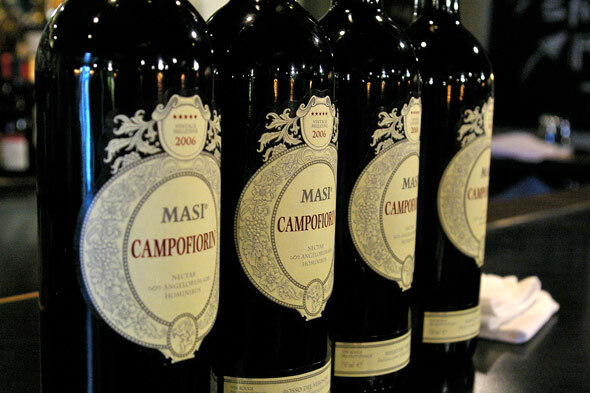 Campofiorin was created by Masi in 1964 and it demonstrates outstanding character of local grapes, and the uniqueness of its production methods. Grape: Corvina 60%, rondinella 25%, molinara 10%, rossignola 5%. The scent gives away spices. The taste has cherry, larkish, and some dried herbs. Its serving temperature is to be 16 degrees. It complements well with calf, white meat, and pork. The wine is round and rich. 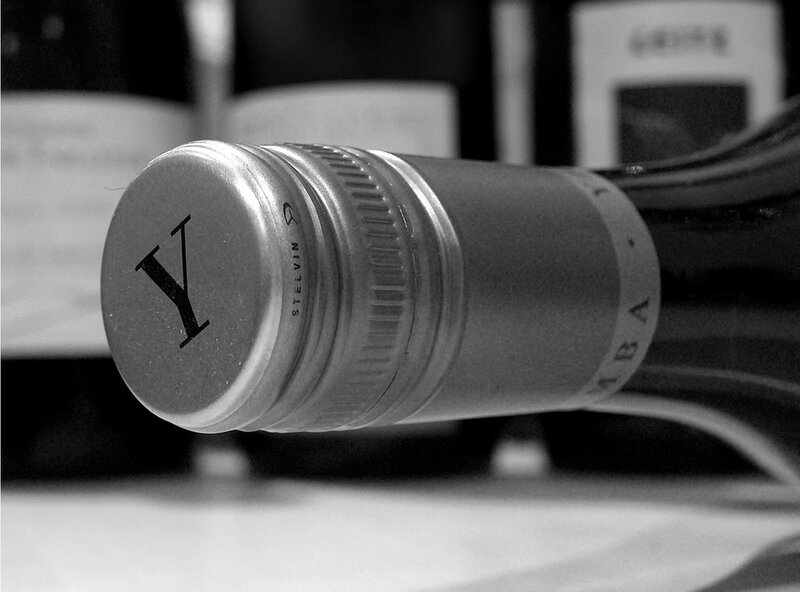 CHN: Yet not seen, could special ordered through ASC Fine Wines. The closest one we could find in Systembolaget was vintage 2001 but the one we tried was 1999. This red Italian Amarone wine is very nice. Its scent gives away developed and matured charachteristics with spices, cacao, rum & raisins, plums and sweet liquorice. Wonderful taste that provides complexity, spices and a little bit of sweetness. Also some hints of raisins, sweet liquorice and cacao. It finishes off with a long aftertaste. Goes well with spicy food like beef or long and well stored cheese. This is a French wine whose estate, in the commune of Léognan, is situated among the appellation’s most prestigious names. Grape: Cabernet Sauvignon 50% and Merlot 50%. The bouquet is ripe fruits, grilled and smoked aromas due to the soil origin and the perfectly integrated woody notes. The palate provides supple and pleasant mellow tanins final with spicy notes of undergrowth. While it will reward a few years in the cellar, this wine can be enjoyed right now with grilled chicken with fresh herbs, veal or cheeses. Grape: Cabernet Sauvignon 45%, Merlot 45% och Cabernet Franc 10%. The sent is young and fresh with tendency towards oak, blackcurrants and herbs. The taste is wonderful were a young wine is distinguished and the grapes are clearly ripe (fruity). Taste of oak barrels, blackcurrant, larkish and grass. This wine should be served with a temperature at 16-18 degrees Celsius. Good complementing dishes are lamb, biff or pork. Grape: 100% Dolcetto. Pelissero winery takes their production very seriously and uses traditional manufacturing techniques to create superb wines. The colour is intense and violet with beutiful fruits and open aroma with a slight bitter after taste. It is made in stainless steel tanks which means it has more characters of fruits close to blackbarries and cherry. Dishes to match this wounderful wine is pasta, red meat and cheese. Grape: Trincadeira, Aragones and T. Nacional. A very nice smooth, easy and finess wine from Portugal. The wine is a blend with traditional Portugese grapes. The aroma is youthful with dark fruits, prune and some spices. It is soft to taste, light acidulity awakens new tones of fruit. A well balanced wine with harmonious finish. It goes very well with red meat courses. A mixture of deep blue and red in colour, this wine abounds with wild and exotic aromas of blueberries, dark fruits, sticky plum jams and spicy clove on the nose. The palate is velvety and sumptuous, packed with flavours of violets, sweet prunes and gamey-earthy characters. A rich and concentrated wine with fine tannins that finish with fine black pepper. Goes well with pork, barbecue and lamb. Grape: Syrah 100%. Vina Casablanca was founded in 1992. The objective was to show the potential of the finest Chilen's terroirs. Casablanca has become one of the most prestigious boutique wineries in Chile with its consistently fresh, exuberant and elegant wines. 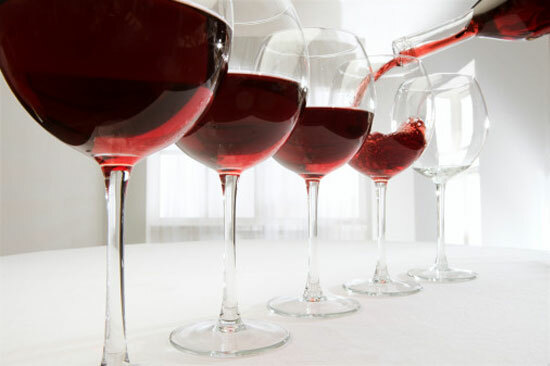 The intense dark red colour with its great scents of spices and fruits makes the wine enjoyable on the nose. It is a balanced and rounded wine with characters of barrel. Grape: Nebbiolo 100%. This wine is amazing. It needs to be kept for a few years to show its strongest potential. All his wines are organic and made with highest care. The production is really small so he can control the quality of the wines. From most of the Barolo that I've tasted, this one is probably one fo my favourites. The wine gives strong characters of plum, oak and little bit of lakrish. 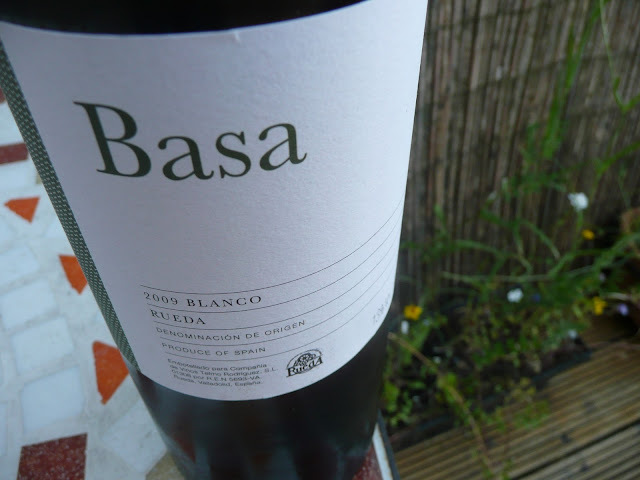 The wine is complex and powerfull and finishes off with a long and lovely aftertaste. It goes well with game, meat and strong cheese. A must try! The wounderful family estate Denis Douberdiou, makes exceptional wine from south of Bordeaux. Focusing mainly on white wine and sweet wine. They are actually one of the best Sauternes wine makers in the world, all naturally grown with no chemicals in the manufacture. Good fruits with lovely sweet tones that provides a perfect Sauterne. Also, get this, once opened it can be opened for 2 weeks without beeing bad. Grape: 100% Riesling. Gold medal winner of the Ice Wine competition in the category of Riesling. Very nice and beutiful to drink. It goes well with dessert but also which many do not understand is that sweet wine goes nicely to spicy food like Chinese, Thai or Malay. The wine survives the spicyness were many other wines dies away.